James G. Duncan II, D.C.
Low back pain (LBP) is the single greatest cause of disability worldwide and the second most common reason for doctor visits. Overall, LBP costs society more than $100 billion annually when factoring in lost wages, reduced productivity, and legal and insurance overhead expenses. Studies regarding the use of spinal manipulation(SM)—a form of treatment offered by doctors of chiropractic—for LBP are plentiful and have led to the strong recommendation that SM should be considered as a FIRST course of care for LBP. The American College of Physicians and the American Pain Society both recommend SM for patients with LBP who don’t improve with self-care. 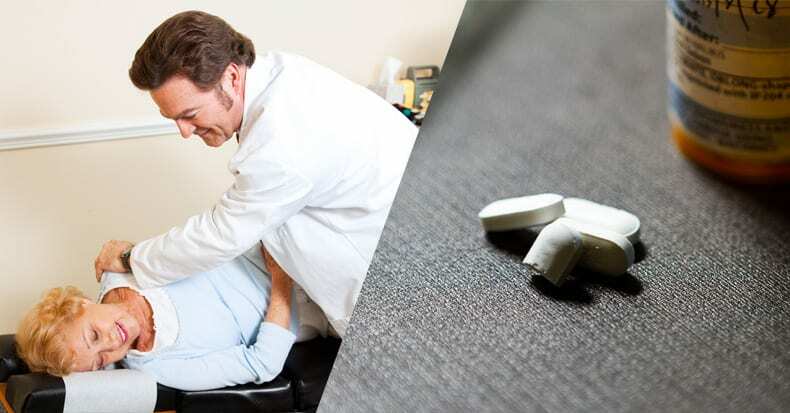 In 2010, the Agency for Healthcare Research and Quality (AHRQ) reported that SM is an effective treatment option for LBP – EQUALLY effective as medication in reducing LBP and neck pain. A 2013 study compared SM and non-steroidal anti-inflammatory drugs (NSAIDs) and found that SM was MORE effective than diclofenac, a commonly prescribed NSAID, for the treatment of LBP. Patients in the SM group also reported NO adverse side effects. More importantly, a 2015 study found that NSAID use can actually slow the healing process and even accelerate osteoarthritis and joint deterioration! Doctors of chiropractic utilize SM as many conditions, including LBP— more than any other healthcare profession including osteopathy, physical therapy, medical doctors, and others. Chiropractors also combine other synergistic forms of care, such as patient-specific exercise training, to help patients learn how to self-manage their LBP, as recurrence is such a common issue.